Digital Design, Game Design and Video Teacher at New Technology High School. Lover of all things Adobe. Adjunct professor of Education Innovation Graduate Program at Touro University in Northern California. Favorite thing to say, "Let's try it. Why not?" 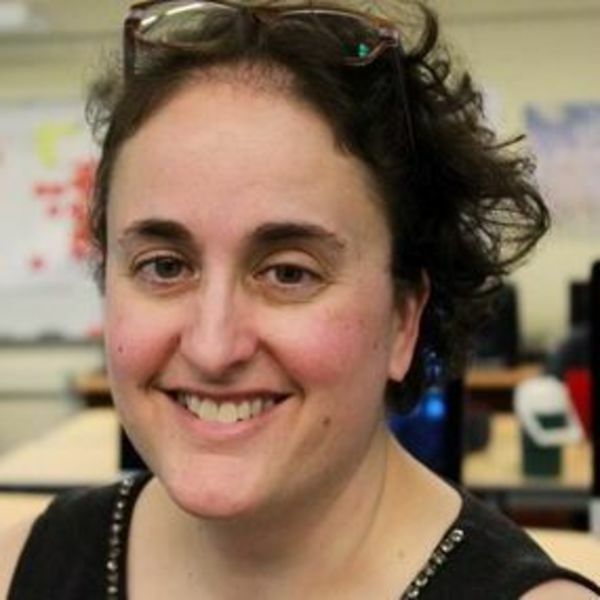 Lisa Gottfried, M.Ed., is in her fifth year of teach Digital Design, Game Design and Video Storytelling for the flagship New Technology High School in Napa. In 2017, she was recognized internationally for Innovation in Education with Blog Portfolios through HundrED.org and also won the "Innovation in the Classroom" grant from the California Educational Research Association in 2015 for her Educational Games Project. She is currently an adjunct professor for Touro University, California in the Innovative Education Masters program. She has taught other educators through the Napa Learns Digital Innovators program on how to use and teach project management by stealing from the tech start-up company playbook. She adores all things Adobe as well as learning alongside her students. Her favorite things to hear from her students are "That is SO cool! How do you do that?" and "This is really hard, but I've GOT to figure it out!" I believe that the role of educator and student has to change as we become a more globally connected society. It's critical for educators and learners to be rooted within their local communities and classrooms because this is where boots-on-the-ground education happens. The learning lab starts within the confines of a known, stable and smaller community that lives within the classroom. At the same time, we need to know what people are thinking and doing around the globe. We truly are interconnected and the educators and students of the future will come to fully realize that interconnectivity. HundrED.org is the full embodiment of that approach to education and I'm so impressed with the level of expertise and connection that the organization has shown in its first year. I immediately knew that I wanted to be a part of this particular conversation as we move forward with innovation in education! It directly aligns with my life purpose of becoming a more effective teacher in the classroom so that I can help elevate teaching and learning on the global stage. We have so much to learn from one another, whether it be student to student, teacher to teacher, or country to country. As we move towards more global connection, the most productive citizens of the world will need to have collaboration skills, a sound understanding of how, when and where to communicate with others doing the good work of improving our planet, and a strong foundation of 21st Century skills. Schooling of the future is about empowering students to make positive change in the world. We are moving away from our old models and ways of being. School should reflect a means to address our hopes, dreams and positive intentions for the future world we want to create. Our lives have been disrupted by so many new technologies and there is no evidence that this will be slowing down any time soon. If we are going to create active and productive citizens of tomorrow, we must change the way we prepare them to enter the adult world. We are birthing new ideas and ways of being every day and education must keep up with the needs that result from those changes. In light of technological change, we must move beyond just reacting to and keeping up with new technologies, and instead move toward a point of view that embraces the proactive creation of our new realities. Blueprints: I adore the concept of passion-based learning as it addresses student engagement in a big way. My most powerful projects at school involved passion-based learning where students used their own interests to drive the learning. When I meet with business advisors to review curriculum, most say that jobs in the Creative Class (a growing group in the employment picture) will require workers to be self-starters, self-learners, and self-motivated; all critical skills taught when students drive their own learning. THINK Global School: If we want a more connected society in which people have exposure to many different cultures and ways of being, having high school students travel and learn wherever they are is the best way to accomplish that. Students who have a broader point of view will be the leaders of tomorrow. Forest Schools: I love that the walls of the school can be that of nature. In the U.S. we have Nature Deficit Disorder which can be easily solved by just getting outside more. The earth and nature have so much to teach us about listening, exploring, experimenting and problem solving. We can combat depression, isolation, and stress simply by spending more time outside. If we are to take care of our environment, we must have a better relationship to it, and that takes work, time and experiential learning outdoors. Project Defy: I'm intrigued with the idea of allowing a community shape their own maker space so that the program is sustainable and seeks immediate ownership by the community. It's a very grass roots way of approaching and supporting learning and makes total sense to me. Still trying to figure out how to connect learners in the U.S. with learners in these maker spaces to expand connection and community. Roots of Empathy: There is much to be said for growing empathy through intergenerational connections and this program does that very well. It's powerful when students can observe and connect with those who are not their age, whether older or younger. It's also powerful to recognize when students need to feel that THEY are the experts and have something to teach those who are younger than them. This is true for first graders, as much as it's true for high school students and college students.